Why do we have no street food culture in Australia? It is one of my gripes about this country (which I love, don’t get me wrong) that we have no street food when most other countries in the world have. Street food and the culture that surrounds it is democratising and enlivening. Anyone and everyone can stop to grab a quick, cheap bite of something simple and delicious at their local hole in the wall or street stand. It exposes you to different people and cultures you may not otherwise come in daily contact with. Carts, like cafes, enliven footpaths and public spaces. Which brings me to a Pozible Campaign I can really get behind. 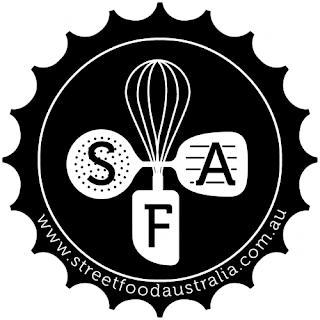 Street Food Australia is a start-up social enterprise dedicated to helping migrants start their own business in the food industry. This will not only bring some vitalising and enjoyable street food to citizens such as ourselves, it will give people in need of a fresh start a hand up and the possibility of an independent income. There can be no arguing that Australian cuisine is truly international. Lacking our own solid national culinary identity, we love to indulge in the cuisine of other cultures. We have Indian takeaway on Tuesdays, tapas on Fridays and treat ourselves to the most deluxe of Japanese and French cuisine when we treat ourselves to a special meal out. If you go to ‘modern Australian’ restaurant, you are more than likely to see those French, Japanese and Spanish influences splashed across your main dish. I for one would be delighted to walk down a Brisbane street as spot a dumpling cart or one serving Afghan, Burmese or Sudanese cuisine. I think this is a wonderful opportunity to provide meaningful assistance to people who deserve a chance to start a new life in Australia. As a side benefit, we get to further expand the culinary diversity of our tables and palates. If you're interested to read more about or are already keen to support - check out the campaign on Pozible. Depending on how much you give, you get goodies to say thank you!